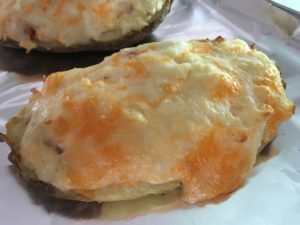 Bake the potato 5 – 12 min (of course different methods time differently). 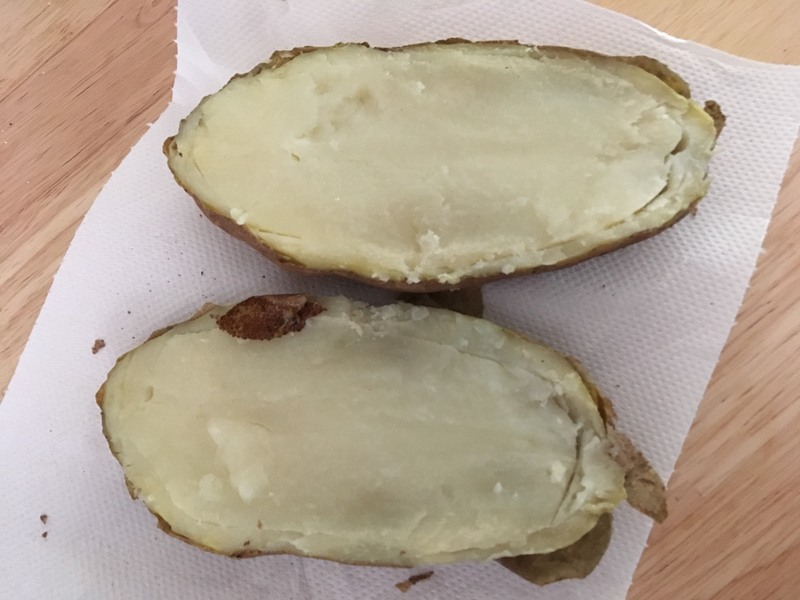 I do mine in the microwave..and this is a huge potato likely took about 15min or so turning 3 or 4 times through out. 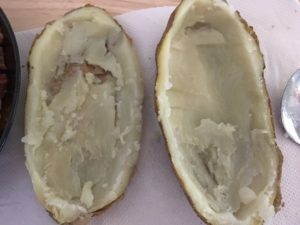 With a big spoon scoop into shells(If you did rip them when scooping out the flesh don’t worry…just hold in your hand while you fill and it holds very well! 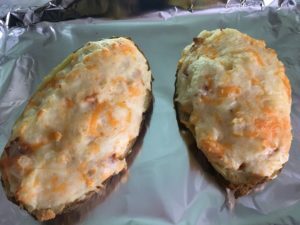 Bake for about 20 minutes at 350…if the potato is still warm when you put together it may not take that long. As you can see by my hand ..these things are HUGE! 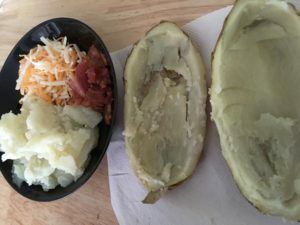 This entry was posted in Recipes and tagged Stuffed Baked Potato, Stuffed Baked Potatoes, Stuffed Baked Potatoes recipes on August 30, 2017 by admin. 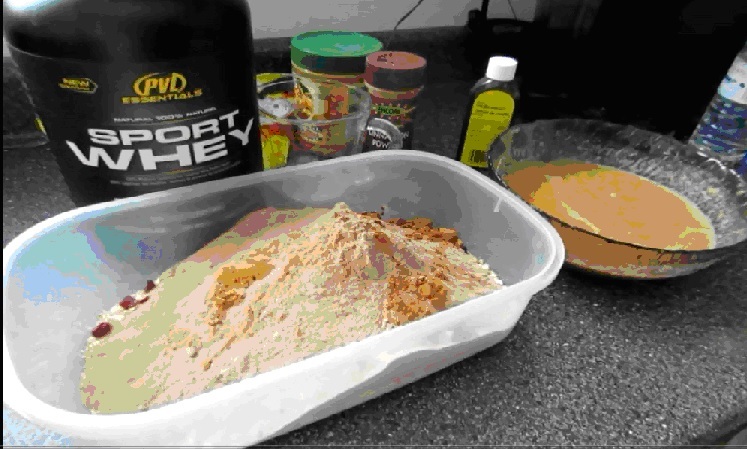 I have come to do some in kitchen experimenting with protein bars. 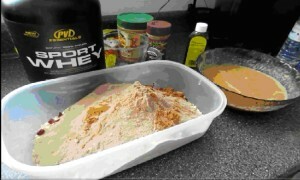 …first to save some money and second to control the ingredients to ensure nothing but the healthiest goes in to them. 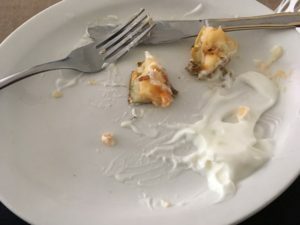 I have found an awesome recipe..that easily converts into MANY varieties…based on YOUR favorites!! 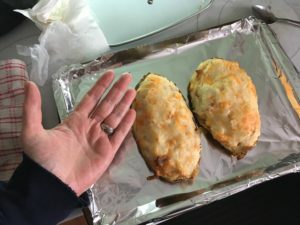 The following recipe is doubled and easily makes at least 30 bars(of course will depend on the size)but if you want fewer bars ..of course cut the recipe..right down the middle! in another bowl that can be microwave..but the following in…microwave a min or 2 enough to slightly melt the chocolate chips, stir well. mix the dry into the wet mixture ..mix..and press into a large 9 x 12 baking dish (LINED with parchment paper. This step is very important as mixture is sticky!) Refrigerate for at least 20 minutes. cut and package individually for ease access and portability. An awesome and very wholesome alternative from junk! 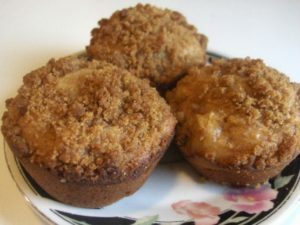 grab one in the morning on the way to the Gym, for an afternoon break in the evening or for snack! This entry was posted in Recipes and tagged Protein Bar recipes, Protein Bars on August 17, 2017 by admin. 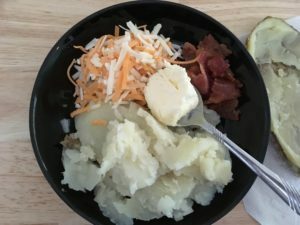 This recipe has been in the family for ever and a day..you will find all kinds of similar recipes but mine has almost half as much sugar as the majority of recipes I have seen. Place the zucchini and onion in a large, non-metal bowl, and put salt over top. Evenly mix the salt throughout the zucchini. Cover, refrigerate overnight. The next day, drain zucchini in colander, and rinse well. Squeeze excess water and set aside. Place the red/green bell pepper, sugar, vinegar, and cornstarch into a large pot. Add nutmeg, turmeric, celery seed and pepper. Stir to combine, then add the drained zucchini. Bring to a boil over medium-high heat, then reduce the heat to medium-low, and simmer 30 minutes. 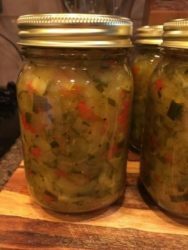 Have jars, sterilized – 7 one-pint jars and lids to hold relish. Fill jars, making sure there are no spaces or air pockets. Fill jars all the way to top. Screw on lids. Place a rack in the bottom of a large stockpot and fill halfway with boiling water. Carefully lower jars into pot. Leave a 2 inch space between jars. Pour in more boiling water if necessary, until tops of jars are covered by 2 inches of water. Bring water to a full boil, then cover and process for 30 minutes. 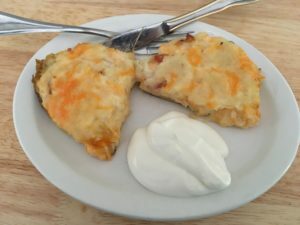 This entry was posted in Recipes and tagged Old Fashion Sweet Zucchini Relish, Old Fashion Sweet Zucchini Relish recipe on April 22, 2014 by admin. 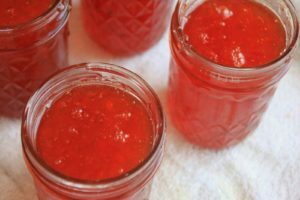 This Red Pepper Jelly recipe has been in my family for years, totally easy! Tip to make your red pepper jelly turn out. When preping..measure your ingredients. be sure the peppers are cut well with all of the white membrane completely cut off the pepper before processing. This WILL make the difference in a beautiful rich red colour or a peachy orangy jelly. Mix above ingredients together in a large pot with high sides…slowly bring to a boil…then simmer stirring constantly for 15 minutes. Bring back up to boil…simmer for 5 minutes and then remove from heat. Jar within 5 minutes…Will still appear very much like liquid..
no fear…seal them up and let them sit usually sets within a few hours. Keeps for weeks in fridge …although have never had any last that long.. This entry was posted in Recipes and tagged Red Pepper Jelly, Red Pepper Jelly recipe on April 21, 2014 by admin. This is probably the most flexible recipe I’ve posted. 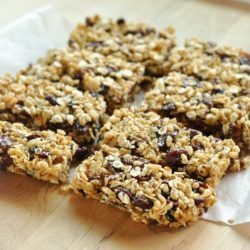 When it comes to granola, what you’re looking for is a basic proportion of chunky (nuts, dried fruit) to sticky (syrups, sugar, butter or oils) and from there, you can really go to town. The vanilla is optional. The cinnamon is optional. You can use no dried fruit or you can use all dried fruit in your 2 to 3 cup mix. 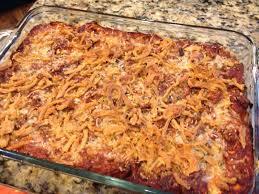 You can toss in things like puffed rice cereal or flax seeds. In the comments, I’d love to hear what mix you came up with and how you liked it. I can only imagine the possibilities. 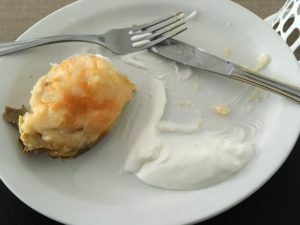 The original recipe calls for something called “sticky bun sugar” which can be made at home with sugar, butter and corn syrup. It is for this reason that corn syrup is listed within one ingredient but also separately, and I used all butter rather than two different fats. Whether the corn syrup can be entirely replaced with honey or maple syrup or the butter can be entirely replaced with a healthier oil is worth auditioning, I just didn’t. Yet. I can tell you this: as is, this is the best granola bar I’ve ever eaten. Once cool, a serrated knife (or bench knife) to cut the bars into squares. 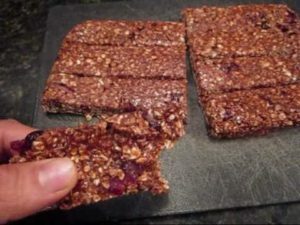 [Updating to note, as many had crumbling issues:] If bars seem crumbly, chill the pan of them further in the fridge for 30 minutes which will fully set the “glue”, then cut them cold. To store, wrap the bars individually in plastic or stack them in an airtight container. In humid weather, it’s best to store bars in the refrigerator. They also freeze well. 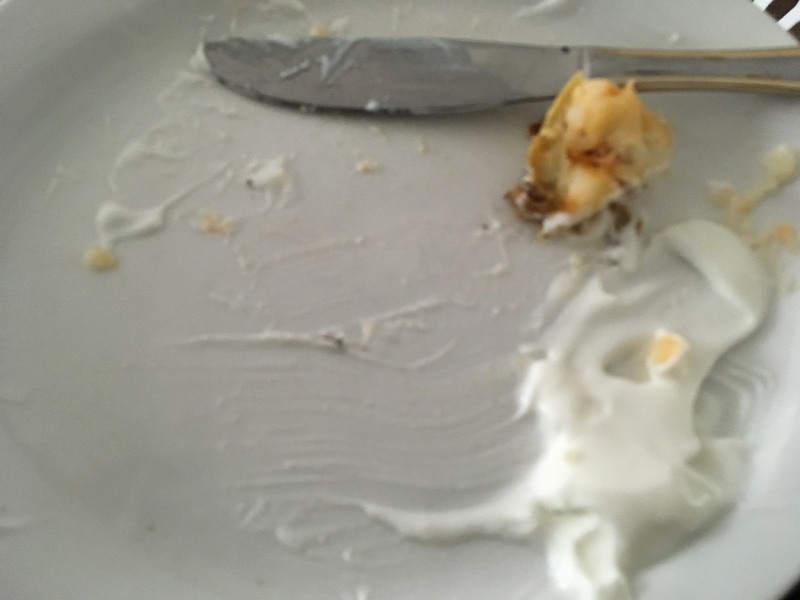 This entry was posted in Recipes and tagged granola bar, granola bar recipe on March 6, 2014 by admin. 57. *JAGERMONSTER* 1 cup of boiling water . Dissolve 1 package of Orange Jello and stir until fully dissolved. Add 1/4 cup of cold water ,1/2 cup of Jagermeister, and 1/4 cup of Grenadine. 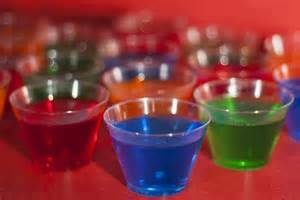 Stir well and cool before pouring into jello shot cups. This entry was posted in Recipes on March 6, 2014 by admin.